ArtHouse is an ambitious project that will leverage existing talent and resources in the Gary community. An undertaking that incorporates art as a catalyst for economic development needs an experienced visionary at the helm. 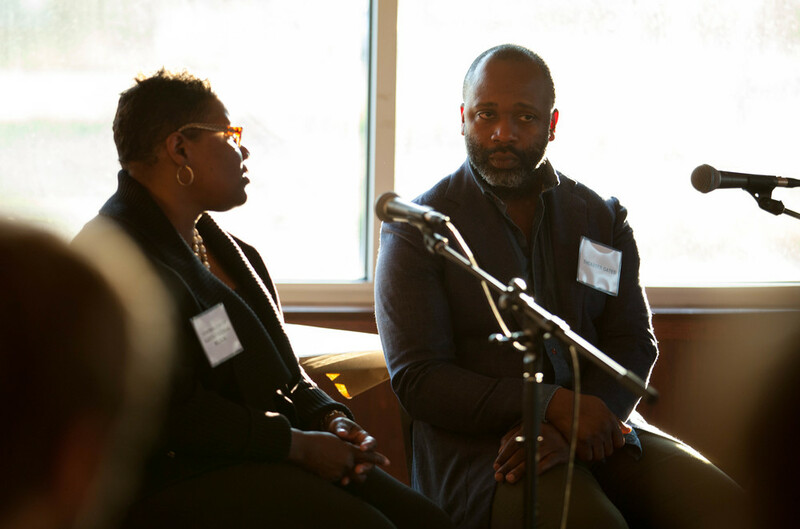 For this project, there is no better leader than Theaster Gates Jr.
Gates is the artistic director behind ArtHouse who is also the founder and artistic director of the Rebuild Foundation, a nonprofit organization based in the south side of Chicago. With Rebuild Foundation, Gates repurposed several old, vacant buildings in the city of Chicago into community based assets. Rebuild Foundation, with neighborhood input, also initiates the creative programming in each ‘new’ building in an effort to spark participation and volunteerism in the community. Gates and his team have also helped develop Stony Island Arts Bank, Black Cinema House, Dorchester Art and Housing Collaborative, Archive House and Listening House. Each of these projects has brought something new and positive, including a community theater and affordable housing for artists, to the communities on the south side of Chicago. Gates’s vision for ArtHouse in Gary is similar to what he has done with his other projects. Gates and team are working on a large public art installation, gallery space, job training site and pop-up community café. Additionally, ArtHouse will also feature an outdoor community gathering space. All in all, the project will be a Northwest Indiana representation of what Gates and the Rebuild Foundation stand for: culture-based and artist-led community revitalization. For more information on Theaster Gates or ArtHouse, visit www.arthousegary.com. Photo taken from Rebuild Foundation website. Bread and Mortar is ArtHouse's project blog. It will feature updates, and posts from local Gary writers and residents.